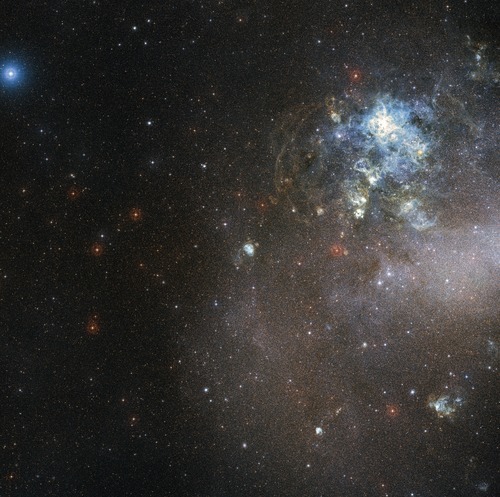 This dazzling region of newly-forming stars in the Large Magellanic Cloud (LMC) was captured by the Multi Unit Spectroscopic Explorer instrument on ESOs Very Large Telescope. The relatively small amount of dust in the LMC and MUSEs acute vision allowed intricate details of the region to be picked out in visible light. The image is a colour composite made from exposures from theDigitized Sky Survey 2, and shows the region surrounding LHA 120-N 180B, visible at the centre of the image.